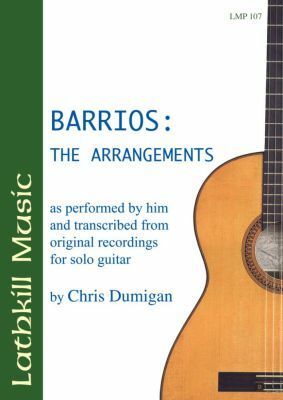 This volume brings together for the first time in one volume Chris Dumigan's transcriptions of all the currently existing recordings that Barrios made of other composers works whether they were originally written for guitar or not. This currently consists of 14 different compositions, four recorded twice in widely differing versions, for which reason they are both included here. Composers represented include Tarrega, Sor, Bach, Beethoven, Schumann, Freire, Tolsa, Yradier, Silva, Escalado, Dupuy, Tolsa and Lehar. A must for all Barrios afficionados.